Standing as a leading electrical heat element manufacturers, Chhaperia strives to focus on bringing up the products with Electric heating elements. The manufacturers began their research to heat and cold the fluids, and they have discovered the possible temperature changes that can happen with heating elements. Doped with best heating elements, many appliances have the doping of heating elements. After performing a number of experiments, the mechanism and working of heating elements were understood by the experts. Resistance wire: Used in toasters and hair dryers, industrial heating furnaces, etc. Molybdenum disilicide: Applications include ceramic sintering, semiconductor diffusion furnaces, and heat treatment furnaces. 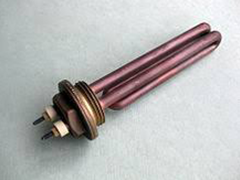 According to the manufacturing unit, the Electric heating elements are chosen. However, it’s always a priority to check the condition of a heating element before installing. After passing the heating element through a series of tests, we install it in the manufacturing unit.